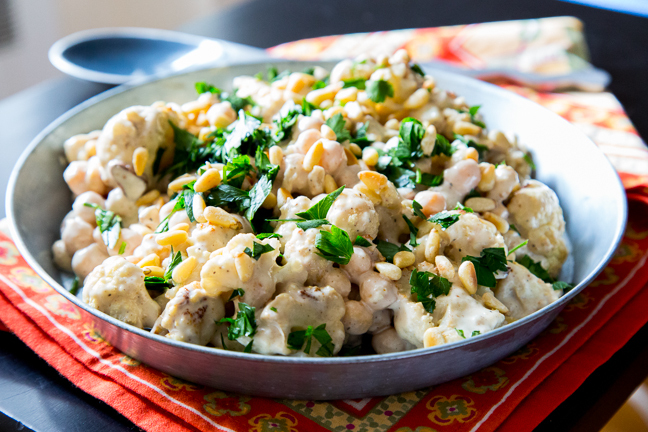 This warm roasted cauliflower salad with chickpeas and tahini is the best of both worlds: it’s comfort food AND totally healthy. 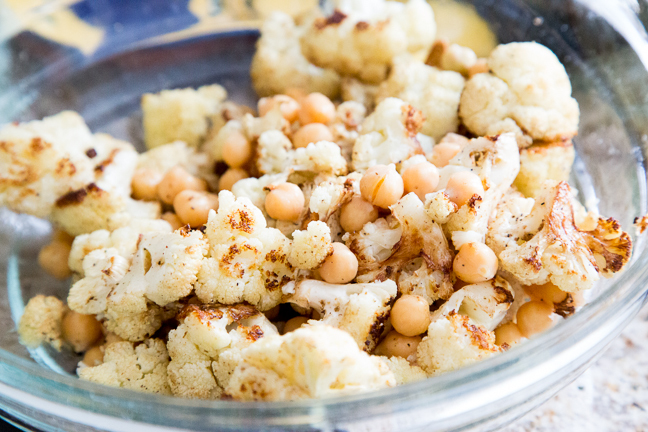 Crispy roasted cauliflower mixed with hearty chickpeas and creamy tahini sauce—packed with Middle Eastern flavors—makes for an exotic, belly-warming dish. If your kids love the flavors of hummus, they’re going to love this dish, too. This recipe is comfort food AND totally healthy. Step 1: Preheat oven to 350 degrees F. Line a baking sheet with foil or parchment paper. Step 2: Cut the cauliflower into bite-sized florets. 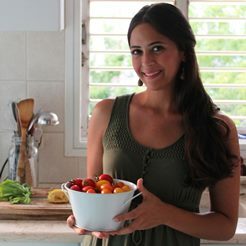 Toss in a bowl with the olive oil, salt, pepper, coriander, and minced garlic. Spread on prepared baking sheet and bake for 20 minutes or until lightly golden and crispy. Step 3: In a small bowl whisk together the tahini paste, lemon juice, and filtered water. Whisk until runny but still creamy, adding more water as needed. Season to taste with salt and pepper. Step 4: In a large bowl toss the roasted cauliflower and chickpeas together. 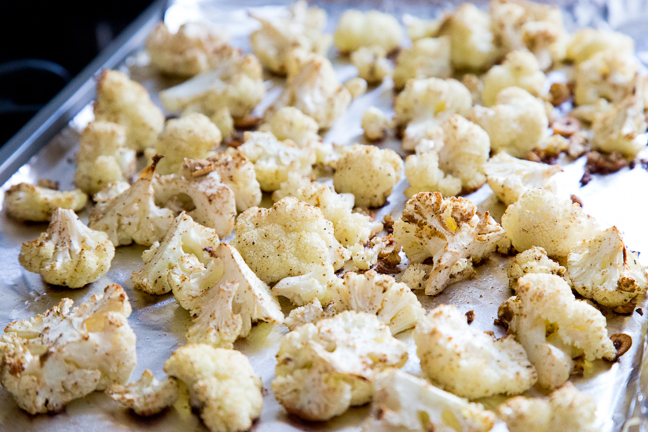 Step 5: Pour the cauliflower-chickpea medley onto your serving platter. Pour the prepared lemon-tahini dressing over the top. Sprinkle the chopped parsley leaves and toasted pine nuts over the top and serve warm.